Download our Brochure, print them out, and hand them out. Membership Application on the back. 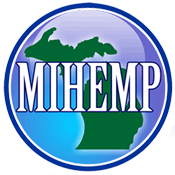 Download our application for membership in Michigan’s largest pro-Hemp political group. Natural-fiber composites are no longer just subjects of academic interest. PRLog (Press Release) – Oct 02, 2010 – On July 28th 2010 Michigan State Representative Lamar Lemmons Jr. introduced HR 314 and the Resolution was referred to the Commerce Committee. HR 314 is a resolution that asks the Federal Government to distinguish the difference between Industrial Hemp and Marijuana.